North Palm Beach is a beautiful residential village in Palm Beach County, Florida. The land was purchased by John D. MacArthur in 1954 and was later developed and incorporated as a village in 1956. It then got the award best planned community of 1956 from the National Association of Home Builders. North Palm Beach is home to the only state park in the Palm Beaches, the John D. MacArthur Beach State Park. 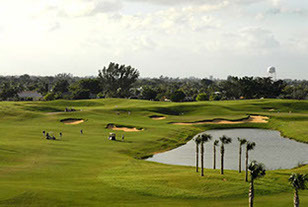 It also has the North Palm Beach Country Club that features the Jack Nicklaus Signature golf course. North Palm Beach residents enjoy clean and well-maintained shoreline, relaxing golf rounds, nature trails and kayaking. As for all the stress of moving and storage within North Palm Beach, Lux Moving and Storage has it covered. 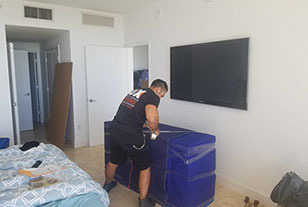 As Palm Beach County residents ourselves, all of our movers are active members of the community as well as dedicated movers of the North Palm Beach area. At Lux Moving and Storage, we’re committed to your satisfaction 100%! The North Palm Beach Country Club was built in the late 1920’s, including a golf course. The golf course was redesigned by well-known golfer, Jack Nicklaus, in 2006. Since then, it includes a lighted driving range, a new irrigation system, re-grassed areas, and improved fairway surface drainage. The North Palm Beach Country Club also has a tennis court, pool, clubhouse, and driving range. Whether it comes to North Palm Beach’s commercial or residential areas, Lux Moving and Storage has got you covered. We’re known throughout North Palm Beach for our exceptional attention to customer satisfaction. We’re always committed to providing you with stress-free moving services at a price that will not break the bank! Servicing the North Palm Beach area for 10 years now, Lux Moving and Storage have come to know all of the 6 square miles of North Palm Beach. We have left lasting impressions on the toughest client critics. All over town we continue to go above and beyond customer expectations, making a standard practice out of our client’s satisfaction. Be one of many to have a truly great moving experience and reach out to us for your moving needs. Give us a call and see why Lux Moving and Storage is so highly recommended in the industry.